JB Tactical offers the LOWEST PRICES ON THE INTERNET! Items are at sale price until stock is sold! Integrally Suppressed Silencerco Maxim 9 Now Available! Read our Frequently Asked Questions page for more information about NFA items, BATFE transfers, our shipping policy, return policy, cancellation policy, and more. 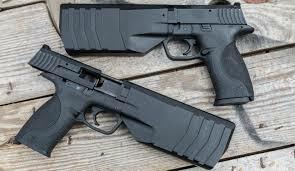 JB Tactical LLC specializes in NFA/ Class 3 weapons and accessories. We are based out of Wheat Ridge, Colorado and are a family owned business that has been serving customers since 2011. Our goal is to provide the lowest prices to our customers without discounting our customer service. What started as a hobby has quickly grown into a love for sharing products and knowledge with our customers. Before we started the business we were like many other firearm enthusiasts who were given the run around by other Class 3 dealers as to the process of purchasing NFA items, mainly due to the seller’s lack of experience. Our goal is to make it as easy and painless as possible. We have transferred hundreds of NFA items successfully, so let us take care of it for you! Copyright © 2017 JB Tactical, LLC – All rights reserved.